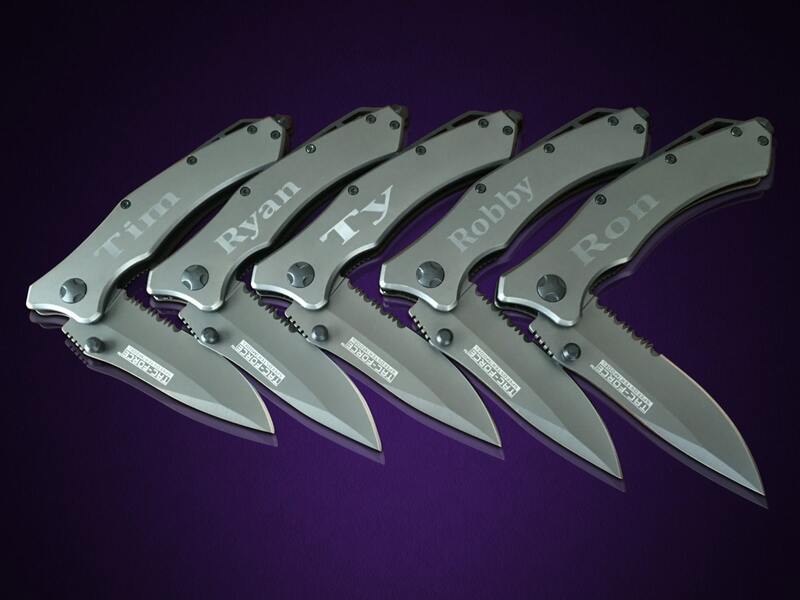 11 Personalized tactical knifes. Laser etched Gun metal grey titanium coated. Birthday or special occasion gift. Comes in original Tac-Force box. 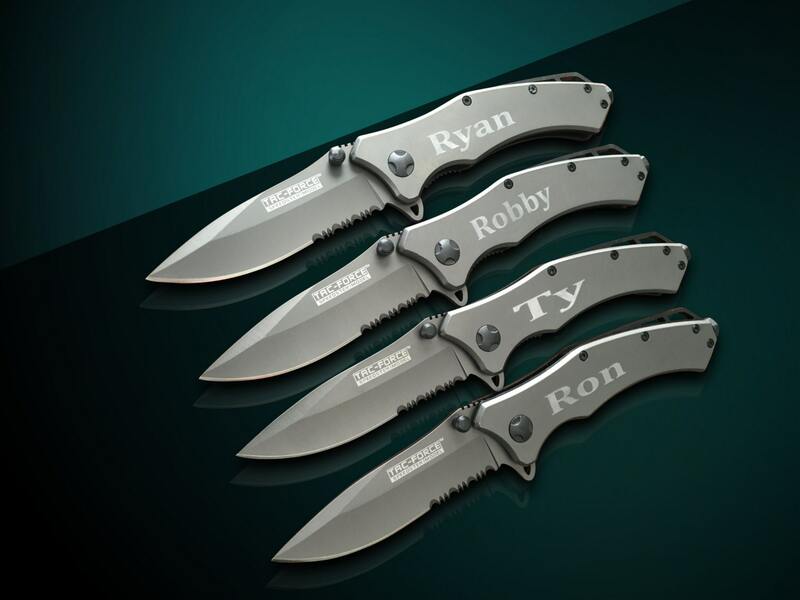 Custom engraved wedding gifts, personalized Best Man and Usher, Groom and Bride gift ideas. Laser engraved gift for couples. 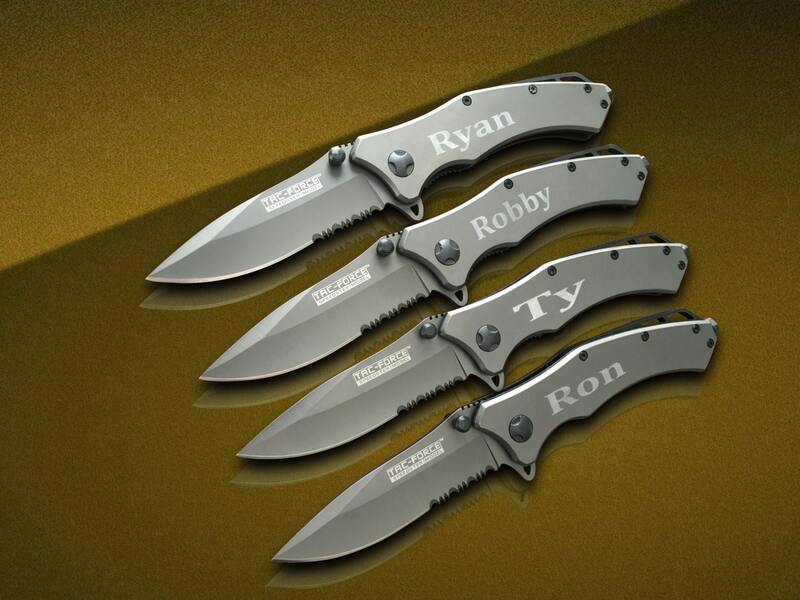 1) Please leave your details for engraving in the "Notes to seller box" or "comments box" when your placing the order. 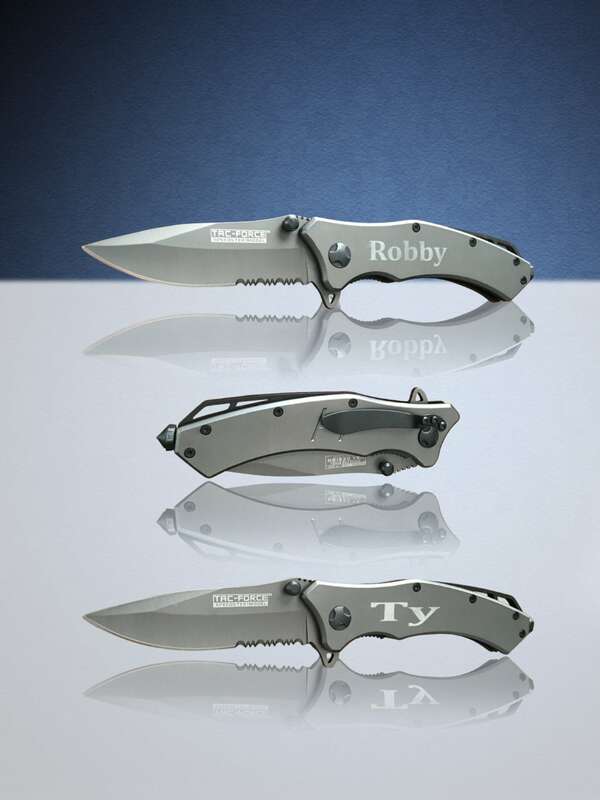 2) We can engrave 1 line across or we can use 2 lines to accommodate your engraving ideas. 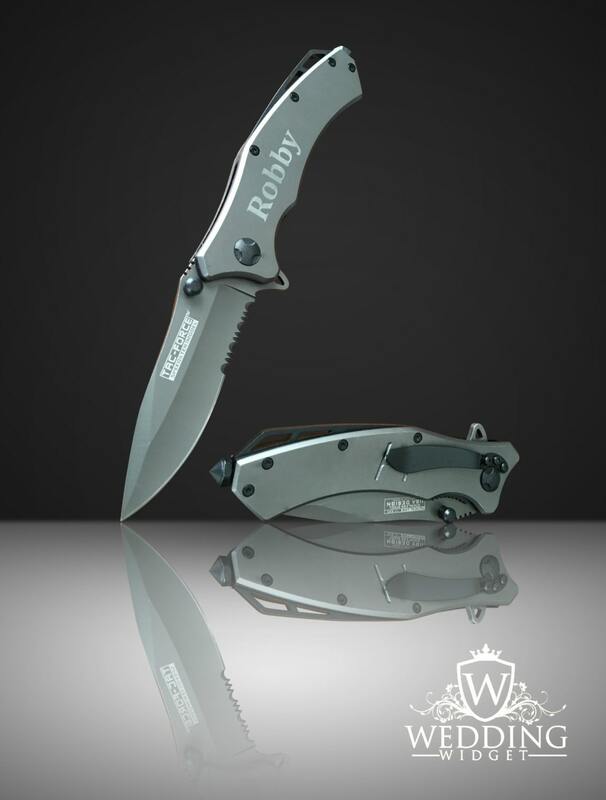 We can customize it for you, If you are unsure your engraving details will fit please message us. order ships out. We use USPS first class shipping. If you want the order shipped 2nd day or overnight please add the optional shipping listing to your order. Sign up for our newsletter and specials! Stay Connected!